After the summer heat begins to cool, your landscaping work should focus on preparing for winter. The major landscaping projects for the year might be done, but any preparation completed during the fall for the winter months will pay dividends in the spring. Beginning landscaping in South Jersey early will make it much easier for you to grow your garden and lawn again once the snow melts. Landscaping for South Jersey properties during this time should include dethatching and aeration. Dethatching will remove debris and help ensure that your lawn will continue growing healthily and that it will spring back to life in March and April. These two services are best performed in either the fall or the spring because your lawn won’t be suffering from drought or stunted growth, which usually occurs during the summer and the winter. Also, we recommend looking into mulching before the first snowfall. Mulch can mix with the fall leaves to help protect the nutrients in your soil and to help protect your grass roots from the damage caused by the cold of winter. Plus, if you’re planning on having any snow removal services in South Jersey, the mixture of mulch and leaves will help shield your lawn from any equipment, salt, or sand damage. If you didn’t complete your hardscaping projects during the summer, the fall, with its cooler temperatures, presents an ideal alternative to laboring in summer’s heat. If you contact us early enough, we will construct your hardscape designs before the ground freezes. Most landscaping companies in South Jersey, including us, recommend doing landscape design during the fall or the winter, when you can plan to your heart’s content. Once completed, book the work during late winter before the spring rush of people asking for home and yard improvements, so you can begin implementing your landscape designs early. 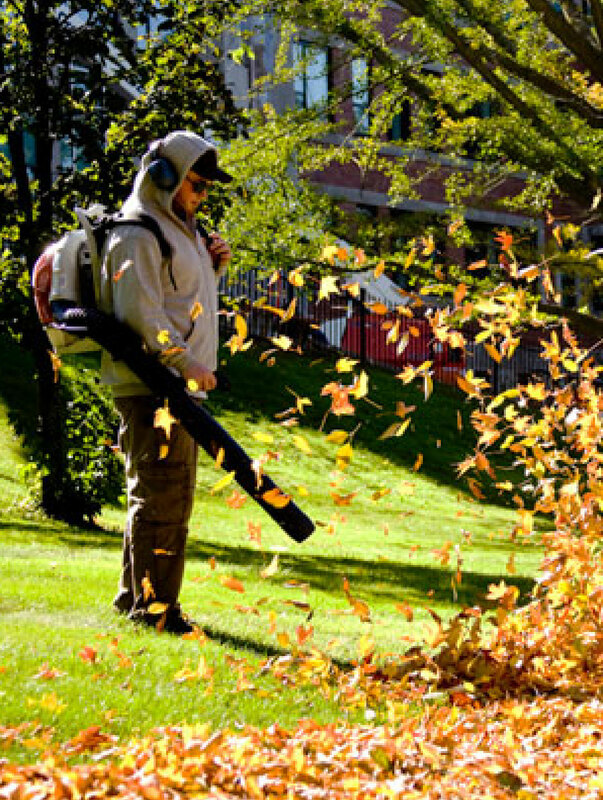 Regardless of which fall services you require, contact a reputable landscaping company in South Jersey like Royal Landscapes to prepare your yard, garden, or commercial property for winter.